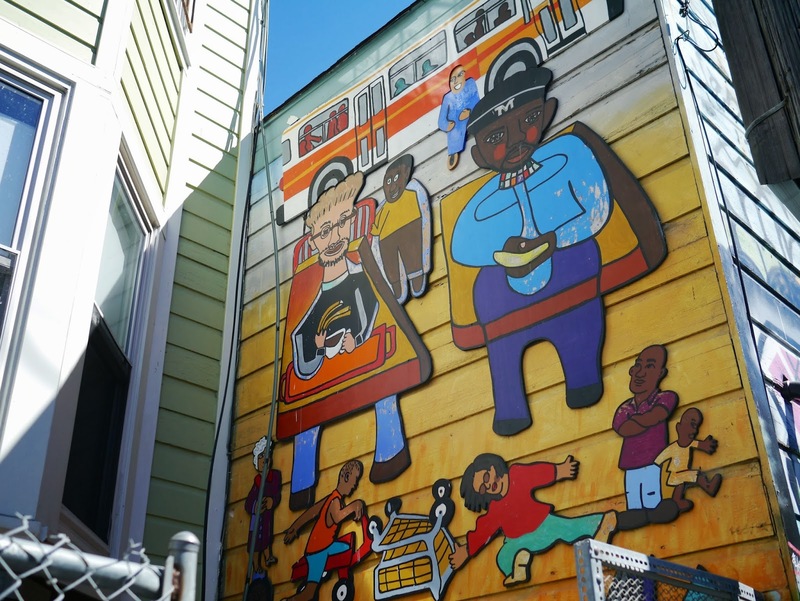 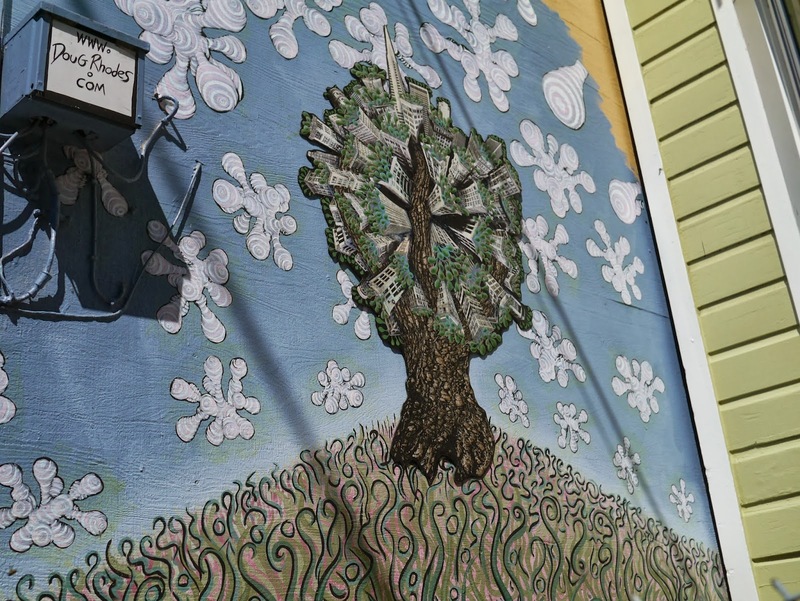 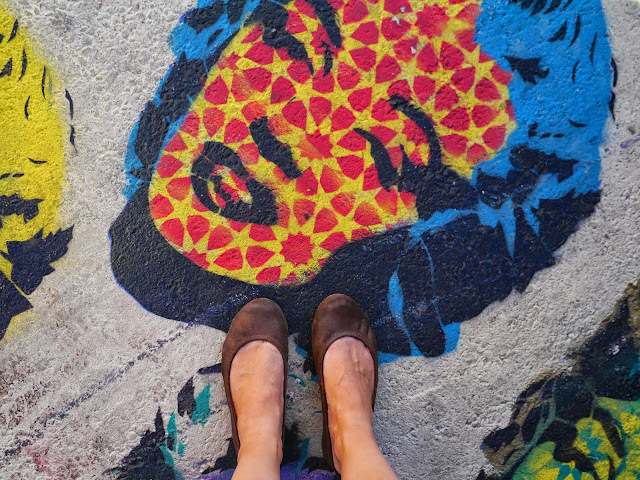 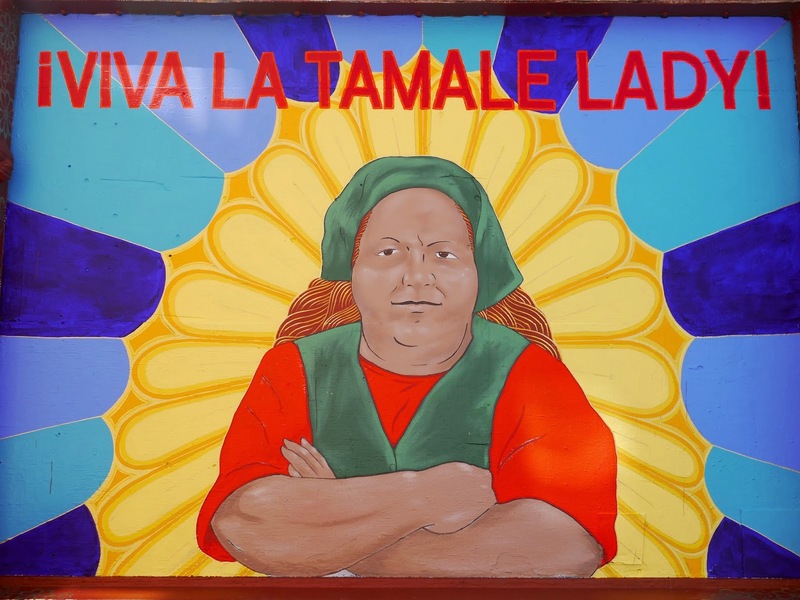 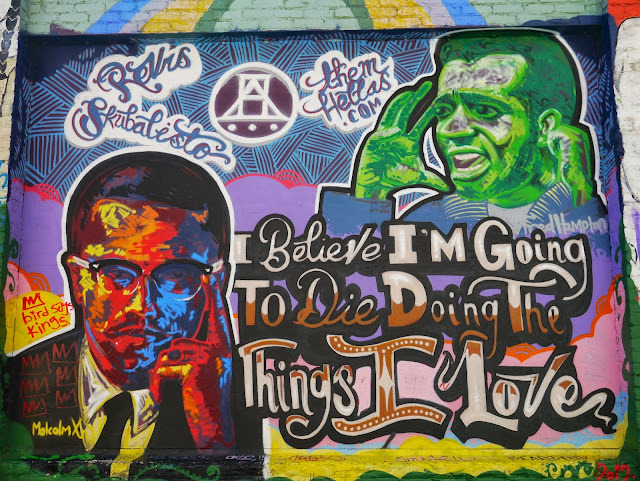 Yesterday we had a look at the amazing murals that decorate Balmy Alley in San Francisco's Mission District. 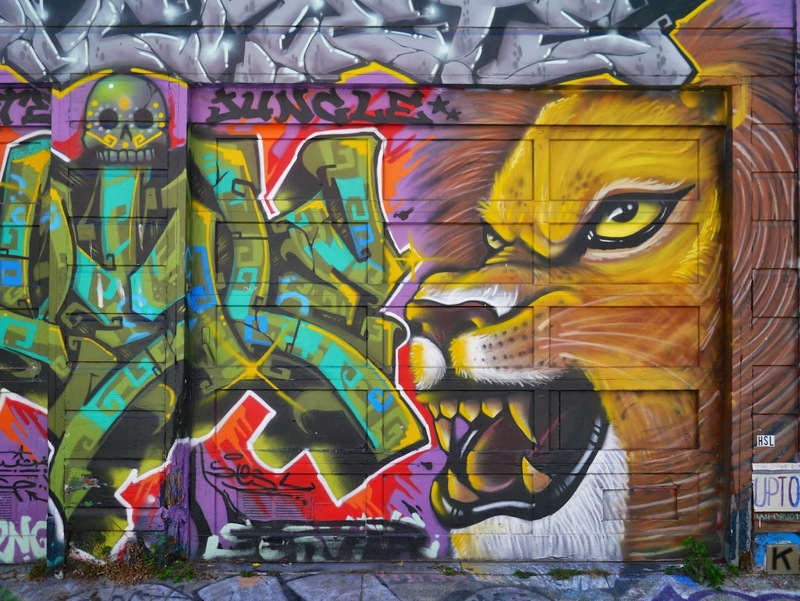 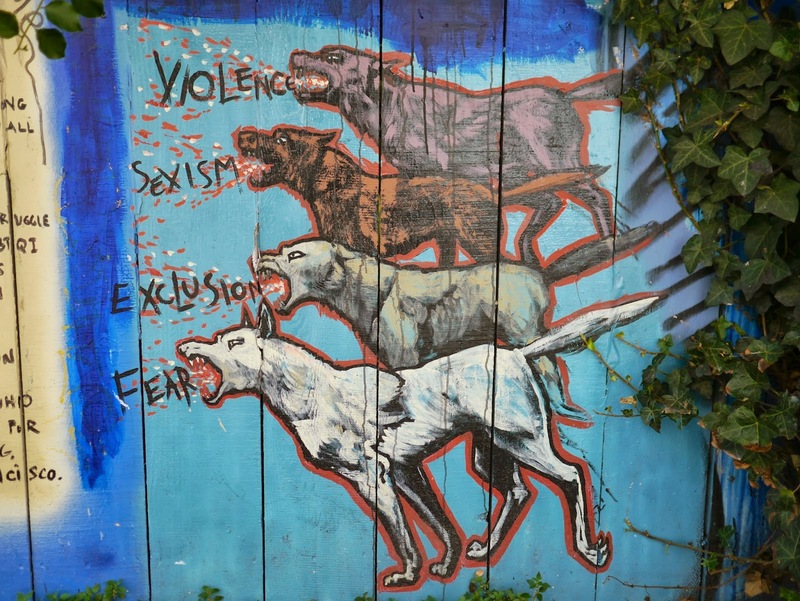 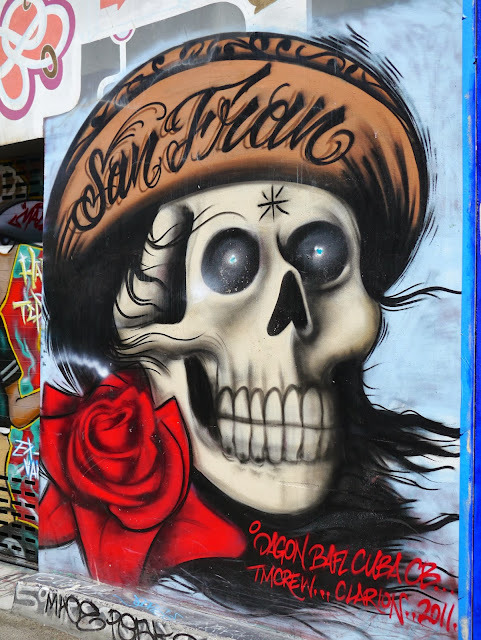 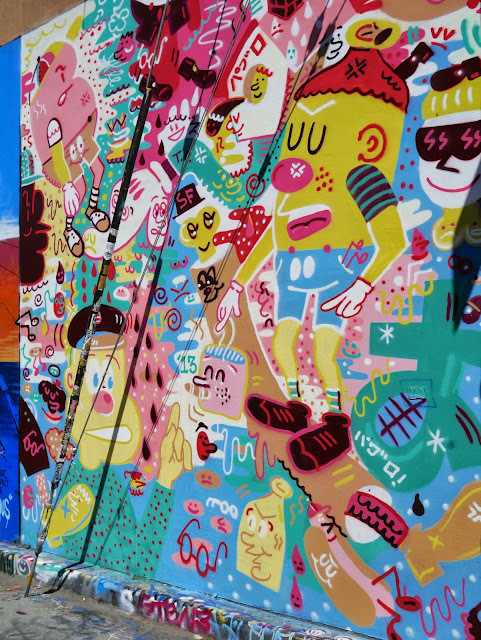 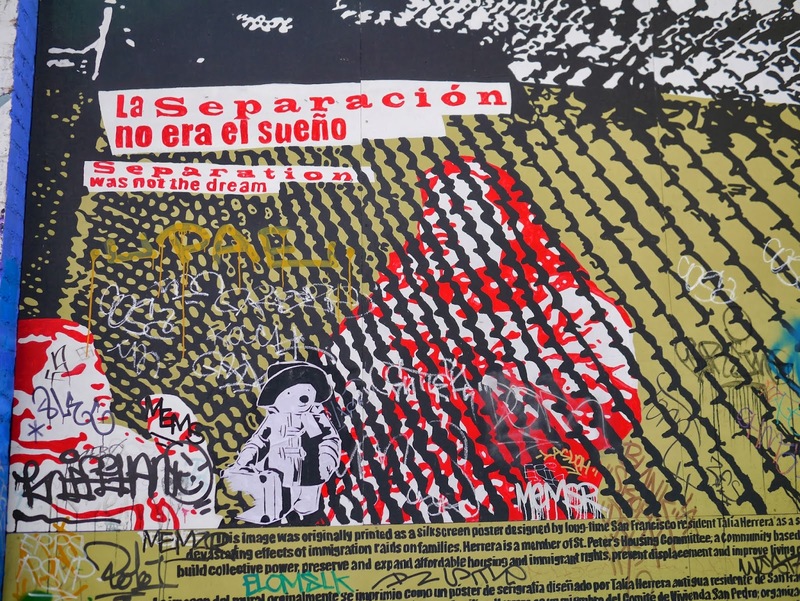 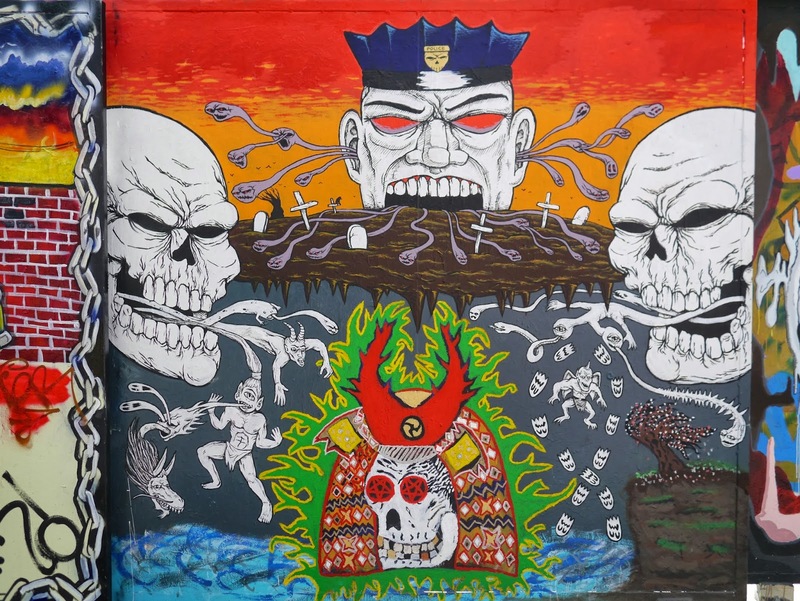 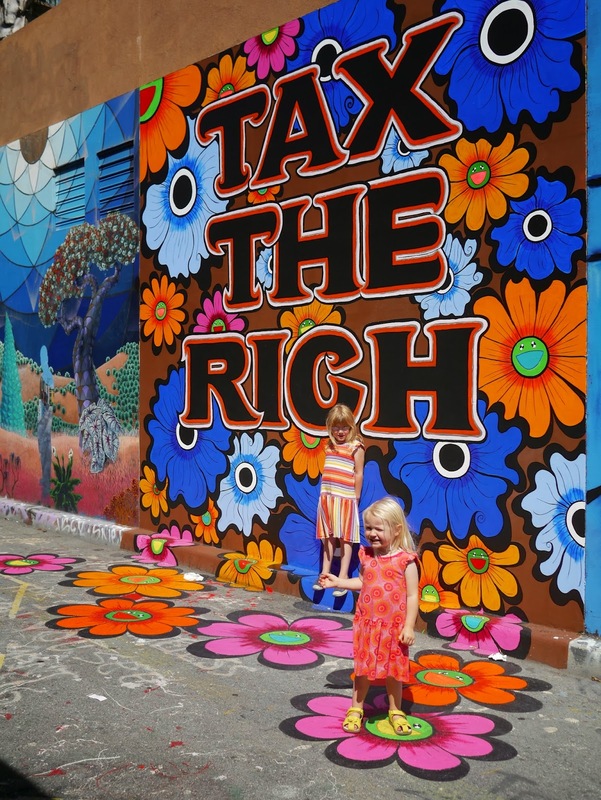 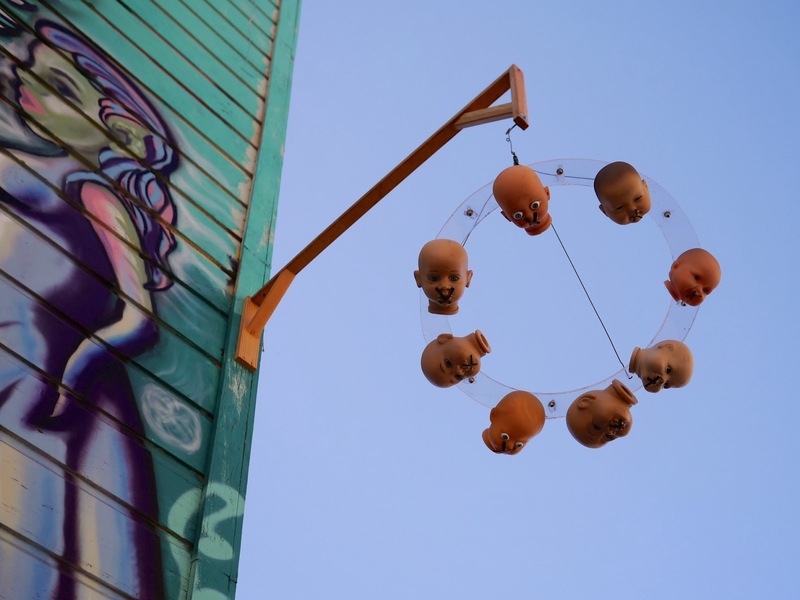 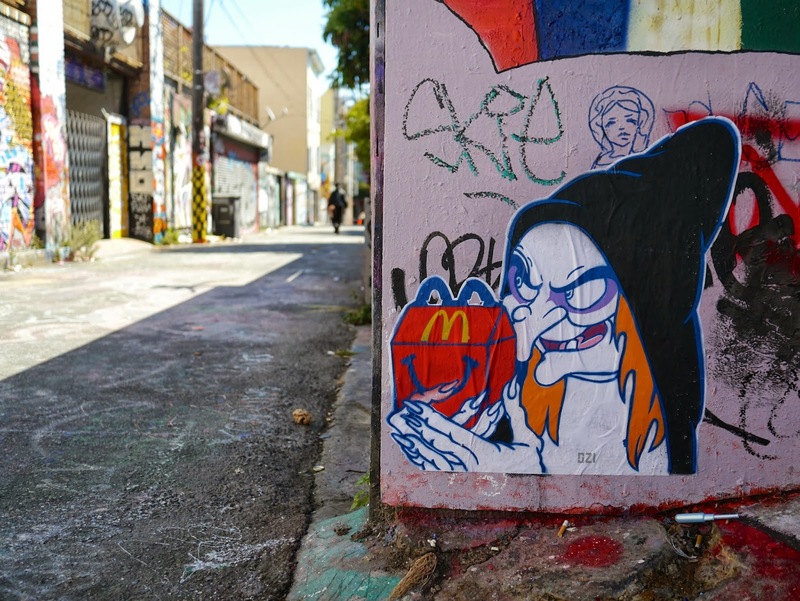 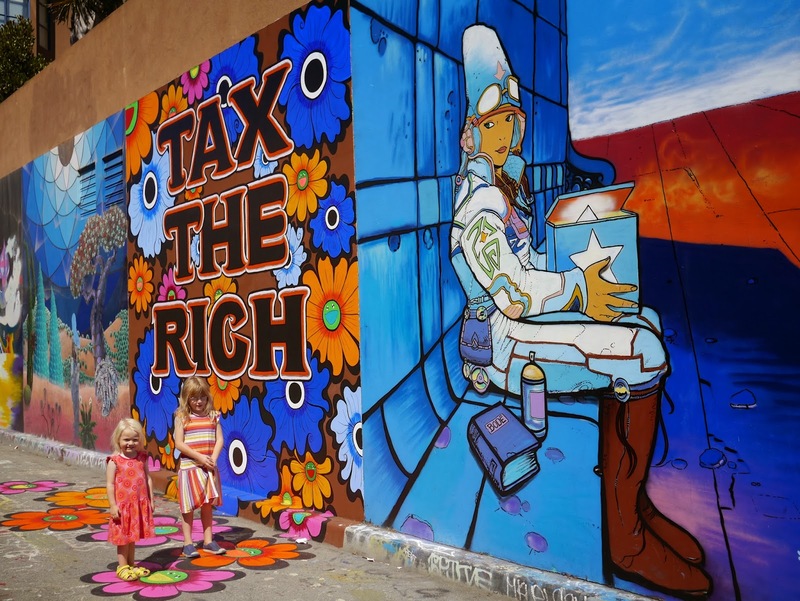 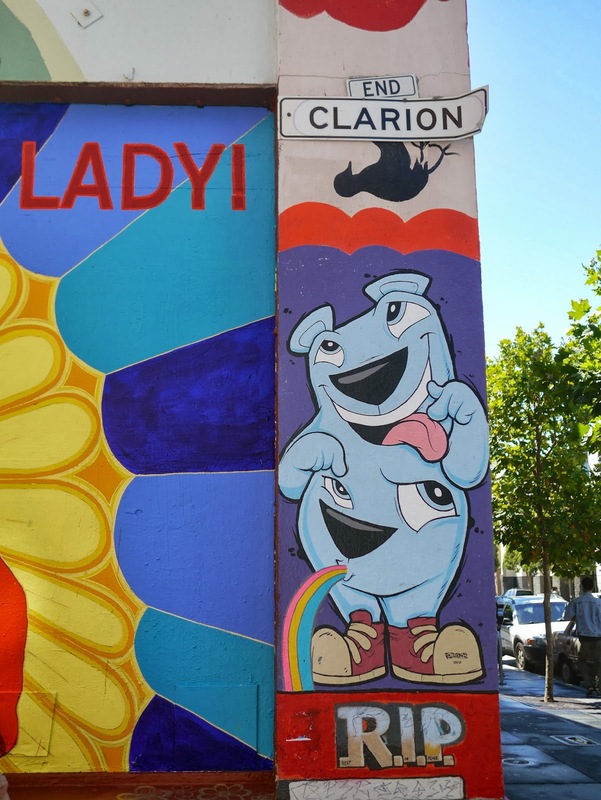 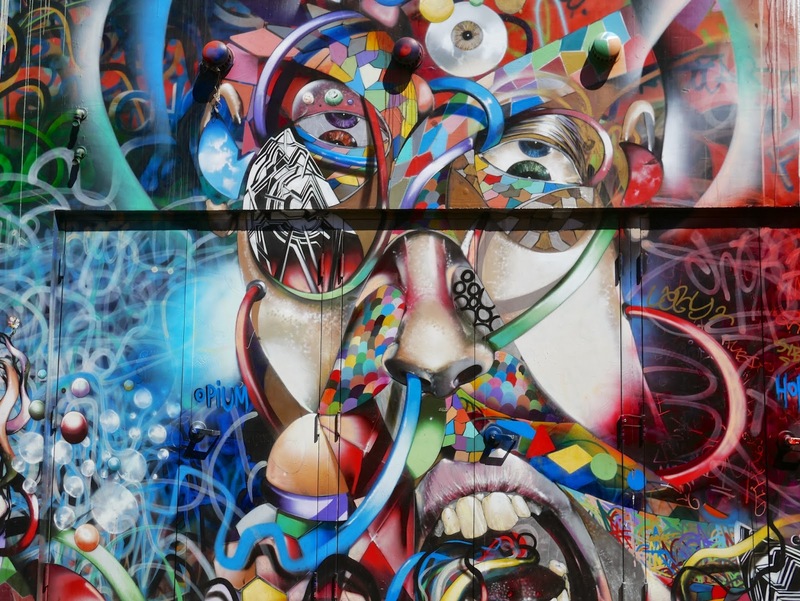 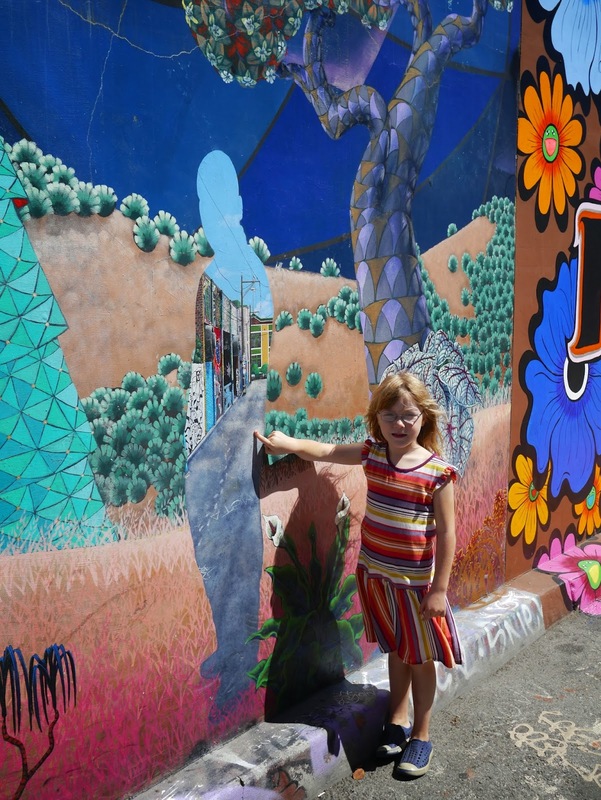 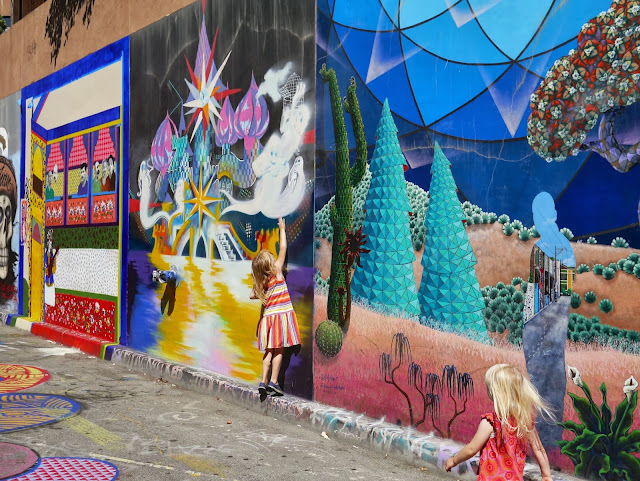 Today let's have a look at another mural adorned alley in the Mission District: Clarion Alley. 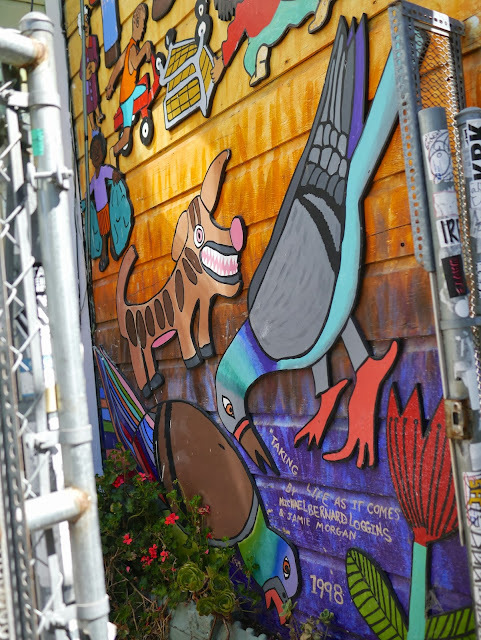 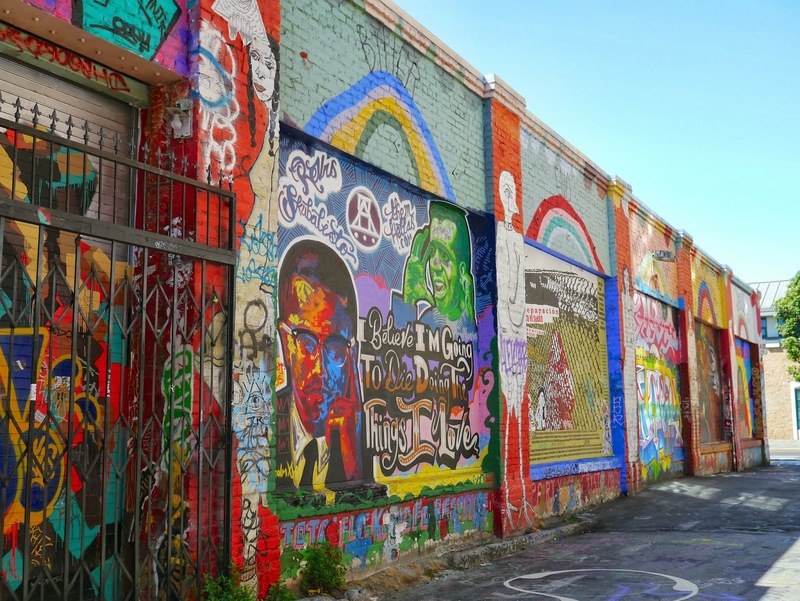 Clarion Alley is not as well known as Balmy Alley but it is just as colourful. 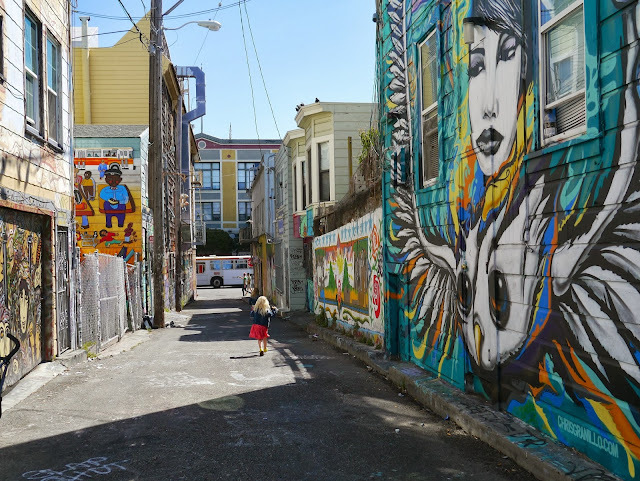 Not being on the tourist map, it's a little more grimy and a tad stinkier than Balmy Alley, but it is a back alley way after all! 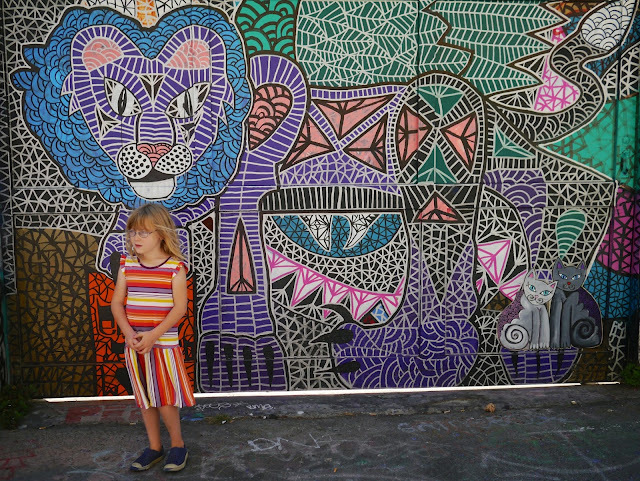 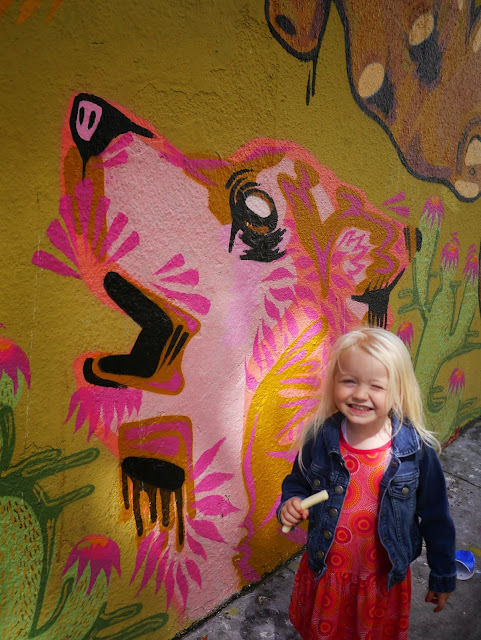 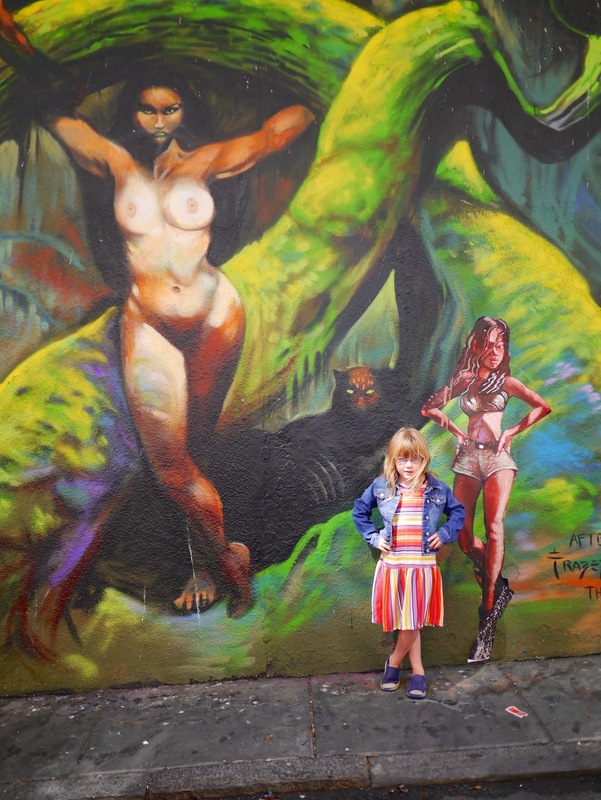 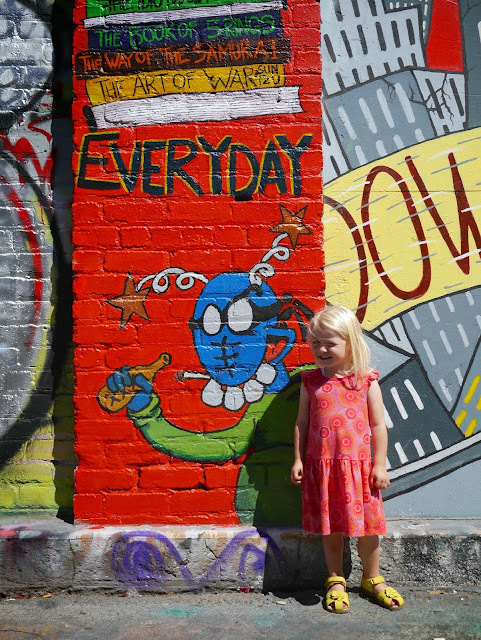 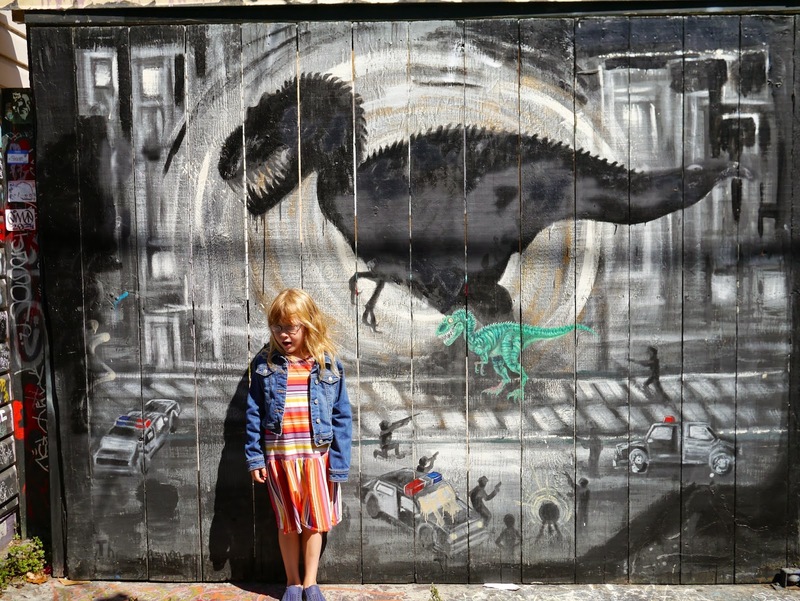 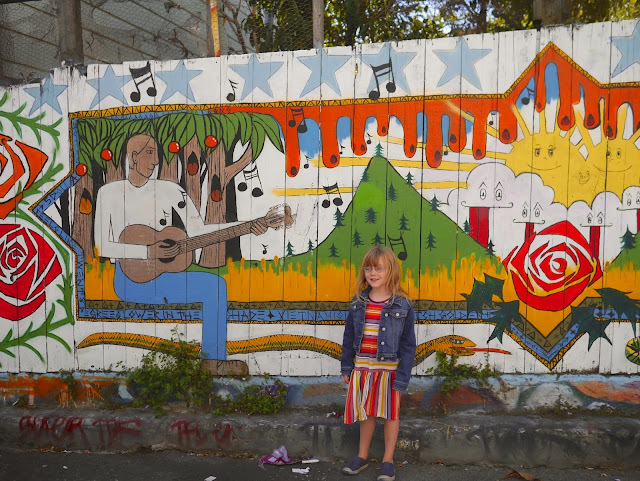 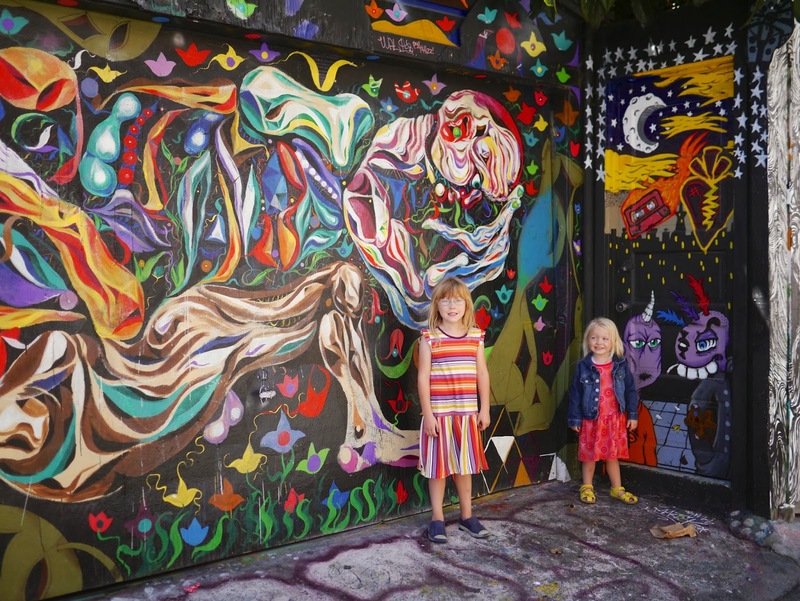 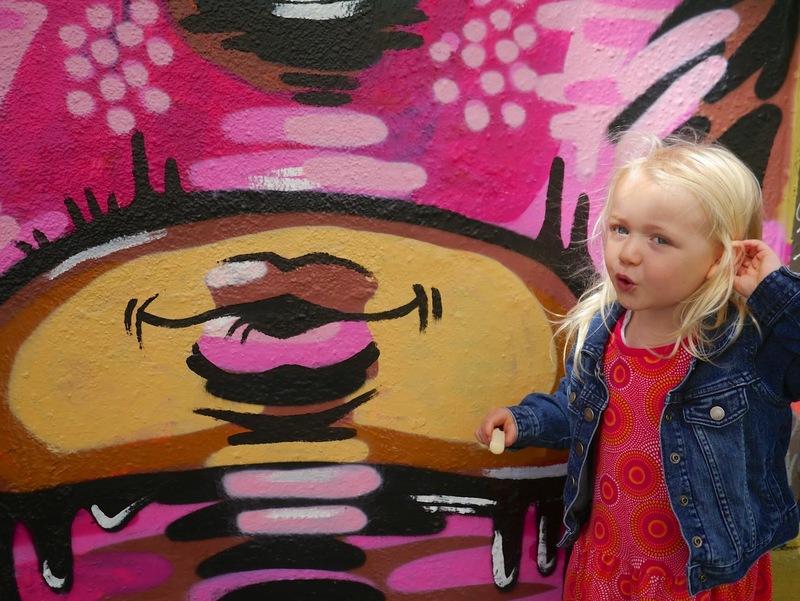 Ava and Lola both really liked Clarion Alley. 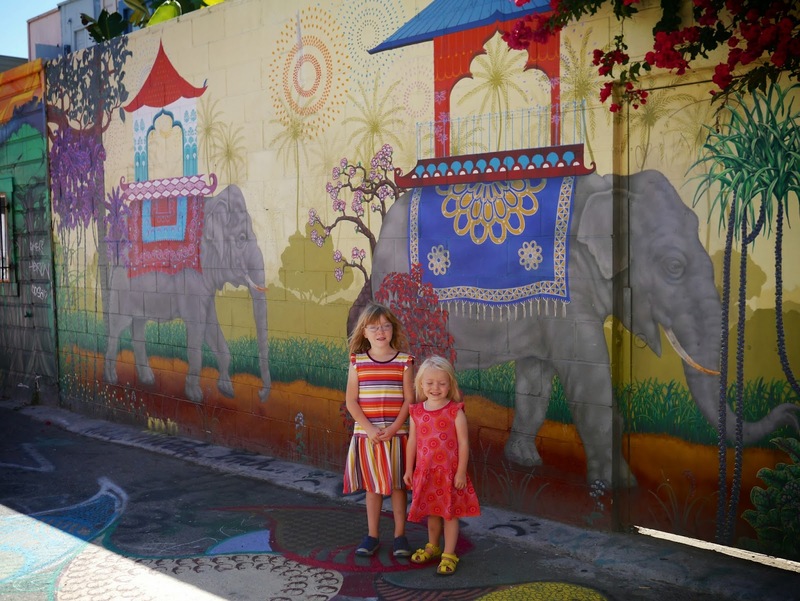 In a few areas the murals spill off the walls and onto the street. 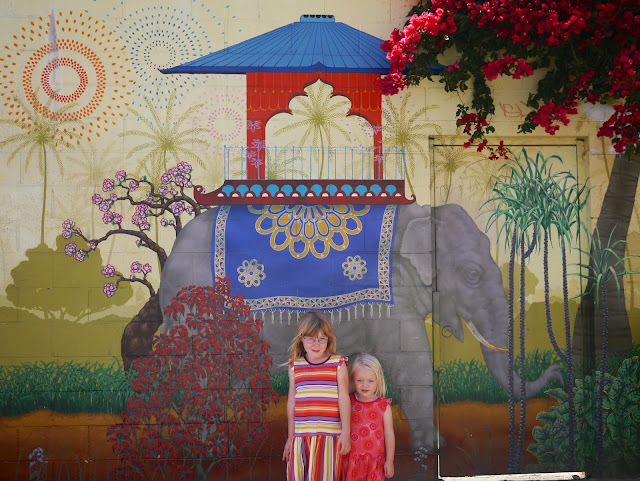 The girls were pretty impressed by this and loved being able to walk on the murals, especially the bright and happy Murakami inspired flowers. 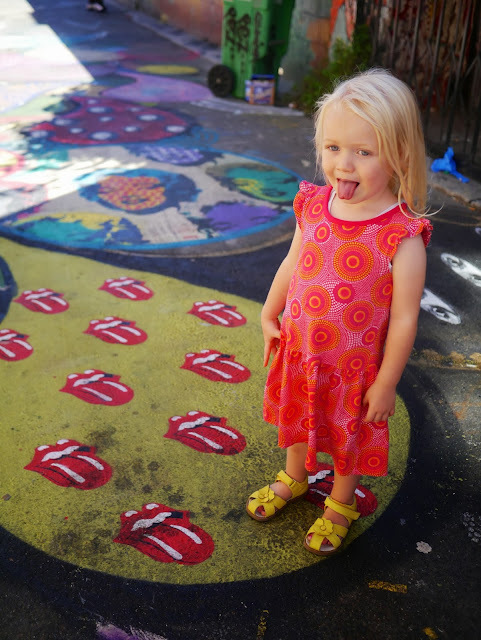 The Rolling Stones tongues were another big hit with the girls. Any excuse to stick their tongues out for the camera! 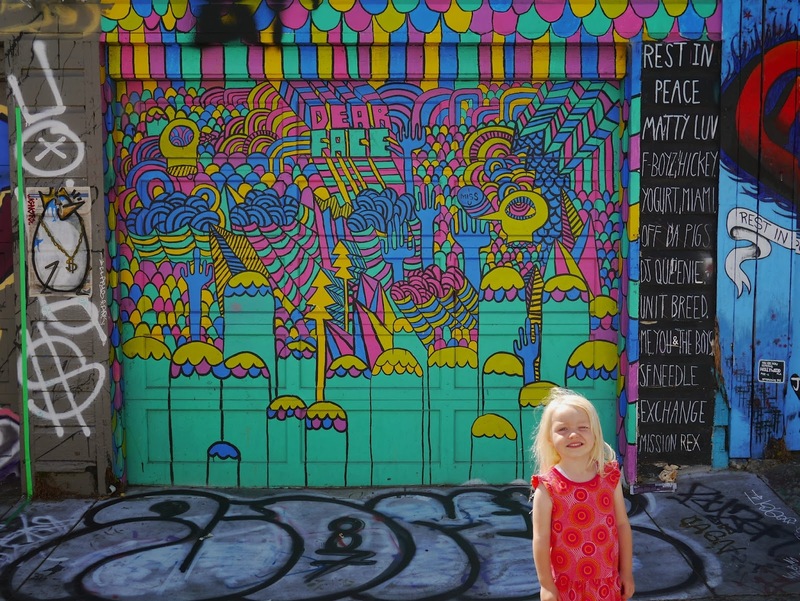 Ok, so that last one wasn't really a mural but it was interesting! Clarion Alley is located in the Mission District between Mission and Valencia Street near 17th Street. 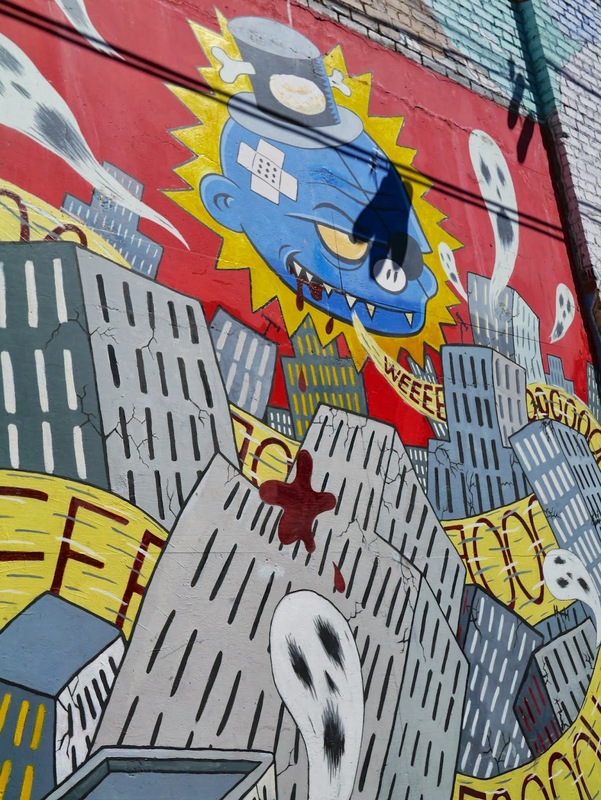 You can find a map here.